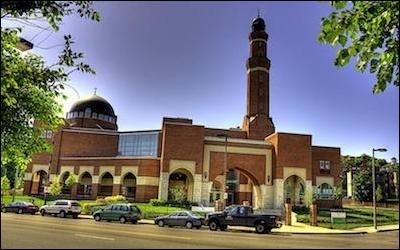 Islamist Watch has published an article in The Algemeiner about our recent research into the Boston Islamic Seminary. I recommend you read our op-ed, which is here, and also take a look at our briefing paper. 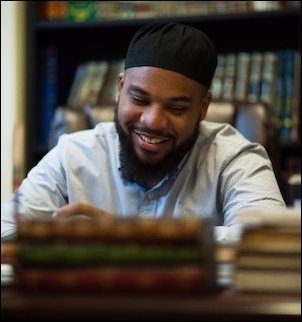 To sum it up: the Boston Islamic Seminary (BIS) is working to provide an accredited graduate degree program that will "train chaplains, imams, and other leaders to serve in a variety of contexts." But as our investigation found, this next generation of clerics are being taught by Islamists among the BIS faculty and regular guest speakers who have long histories of promoting vile anti-Semitism. Just one example: in 2016, BIS invited Abdelrahman Murphy to lecture its students. Murphy works for the Qalam Institute, which hosts a document on its website warning that Muslims who seek "cleanliness" and "purity" should "not resemble the Jews." Murphy has stated: "There is no such thing as an innocent Israeli." Murphy used to work for the Islamic Society of Boston (ISB). And the Boston Islamic Seminary is, in fact, an ISB project. It was established by the ISB and remains run out of the ISB's mosque in Roxbury -- a neighborhood of Boston. As we noted in The Algemeiner, inaugural trustees of the ISB included Yusuf Al Qaradawi, the spiritual leader of the Muslim Brotherhood who was praised by Bin Laden, and Abdulrahman Alamoudi, an Al Qaeda fundraiser who was jailed in 2004 for conspiring with the Libyan regime to assassinate a Saudi Crown Prince. 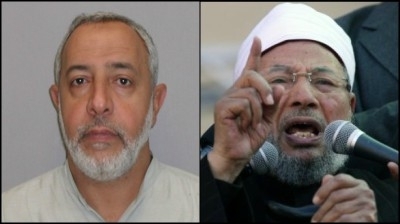 The Islamic Society of Boston's inaugural trustees included Al-Qaeda fundraiser Abdulrahman Alamoudi (left) and Muslim Brotherhood spiritual leader Yusuf Al Qaradawi. So how will the ISB respond to the latest article exposing extremists in their ranks? Trouble is, whenever key officials, clerics and speakers at the ISB are condemned for anti-Semitic rhetoric and other offenses, someone at the ISB simply reaffirms the mosque's mantra about love for interfaith dialogue, then restates its opposition to the horrors of racism and concludes by citing support from various local Jewish leaders. The flap ends until, a few months later, it takes place all over again. In 2016, for example, the ISB announced the appointment of a new "associate imam" named Abdul-Malik Merchant. Just 14 days later, Merchant published a statement on the ISB's website apologizing for anti-Semitic remarks published on his social media, in which he had endorsed "[hating] fags" and claimed it is the "way" of the Jews to "kill prophets." I had posted a number of translations of Arabic material on religious matters, like celebrating holidays or dealing with envy, that also contained pejorative references to Jews. My goal in posting these translations was merely to improve my Arabic and show how I was growing in my ability to access material in Arabic. ... [I] simply lacked the wisdom to see that these words could so easily convey hostility or cause grief. As fleeting as the ISB's sincerity on these matters, Merchant's "apology" disappeared from the ISB's website a few months later. And because the ISB just uses the Jewish community as a fig leaf for the mosque and seminary's extremism, Merchant did not bother to mention or apologize for his extreme homophobia. He previously expressed support for keeping "gays" out of fighting sports and 'liked' a comment stating: "i'm cool wit sayin i don't like fags. love what allaah loves and hate what he hates." Perhaps these comments were geared towards improving his English. For the ISB, it really wasn't necessary to keep the statement posted online or apologize for the anti-gay rhetoric. The ISB has other influential supporters on which it can rely to provide legitimacy. Boston's mayor and police commissioner, as well as prominent politicians such as Elizabeth Warren have all spoken at the mosque and praised its leaders. Islamist hate speech hasn't yet deterred those keen on flaunting their anti-Islamophobia credentials. Politicians and faith leaders flock to the ISB as if it were the only mosque in New England. There are dozens of mosques in Massachusetts. Many of them -- such as the Ahmaddiya and Sufi mosques -- are moderate institutions whose officials would not dream of giving money or platforms to clerics and activists who so openly hate Jews and homosexuals. Politicians and faith leaders, however, flock to the ISB as if it were the only mosque in all New England. In doing so, they legitimize Islamists as representatives of ordinary Muslims, most of whom would find the hate speech of the ISB horrifying; and they sideline those moderate Muslims fighting to free their faith from the Islamist stranglehold.